Why spend tens of thousands in Hollywood when you can hire a Northern California SPFX animal character resource for a fraction of the price? 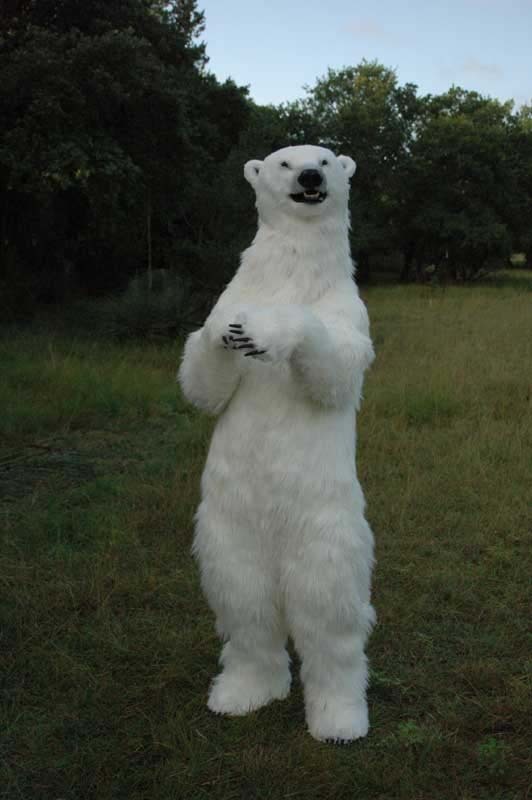 In the past 2 years we’ve added an animatronic grizzly bear, a photo-realistic polar bear and a panda bear to the ranks of our animal impersonators. Our new bruins have worked all over the world and can be seen in feature films, television and in print. Also, for all your mascot needs across the USA, check out The Mascot Organization ……….Thanks! !